It’s the beginning of 2015 and you know what that means? New Years Resolutions! They can be both a blessing and a curse. Mine for instance; I plan on cutting back on coffee a bit. I’m not cutting it out all together or anything, I mean come on. I’m a writer. Lets be real. So this plan of mine sounds like it would be beneficial to my health, less caffeine and sugar and all that. That is a blessing. I’m sure it will seem as a curse to those closest to me. Considering I don’t think I will be a ray of sunshine while withering on the floor in pain trying to scrounge for fallen coffee beans. Alright, maybe I wouldn’t go THAT far. Perhaps I would be standing while searching for coffee beans. So that’s the health side of things. What about the writer side of things? I can tell you my goal as well as I’m sure many other writers’ goals are to build a platform. What do I mean by building a platform? I mean making your presence known and start building a reputation. By doing that, you get a jump start on gathering people who might be interested in reading your published works and thus be easier to get a literary agent and higher book sales! I know what you’re thinking, “Weeeeee! That sounds perfect!”. And you’re right. Only it has a catch. Building a platform isn’t as easy as it sounds. I’m still learning about it myself! But what I do have is some options for you to start your own platform journey. #1 Blog: Create your own blog or even join a group of people! That’s what I did in the beginning. I met some friends at a writer’s conference and we started a blog together. That’s the easiest for new bloggers since you all share the load. Then when you’re ready to branch out and create your own blog, go for it! There are many different free blogging sites such as WordPress, Blogger, or even Reddit. Take a look around and see what’s best for you! #2 Social Media: All of it! Facebook, Twitter, Pinterest, and Tumblr. Maybe even myspace if that’s still your thing…is that still a thing? Anyway, these are great ways to get people to know you! Even if you chose one of the other options of platforms I give such as blogging, having a good social media voice will help you grow that much faster! #3 Youtube: This is one I’ve been thinking about doing myself for a long time. It’s just like blogging…only virtual! It’s like the future. Only its now. Youtube is only getting more popular and not to mention if you have a big following you can even make some good money off of it. Maybe you’re saying, I don’t have a good camera. Well do you have a phone? Or maybe the camera on your computer? Or Ipad? Those work just fine when you’re first starting off. Then move your way up in the ways of technology as you learn. That’s the thing with New Years Resolutions. People like to make excuses and focus on the problems and then they give up. I know I’m guilty of doing that. But what else can you do? How can you make it work? It may not be perfect, but at least you’ve started. That’s a lot further then a lot of other people can say. Excuse me while I go try to find coffee beans…maybe I’ll just smell them. That will help right? No laughing! I’m trying here! Happy Following Through With Your New Years Resolutions! 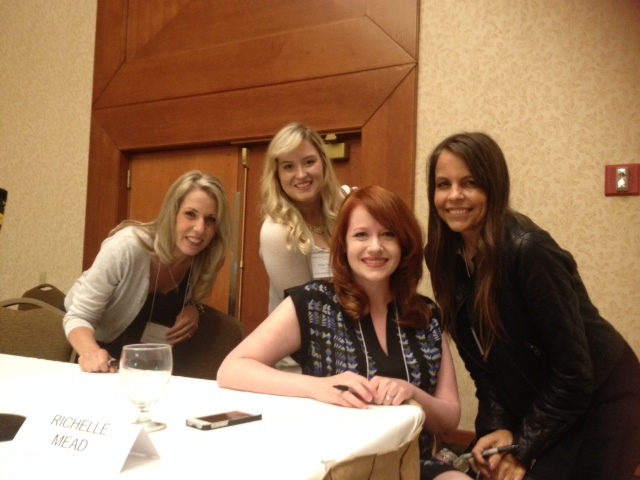 Though I wasn’t disappointed when I met Kimberly Derting, Richelle Mead, and Margaret Stohl! I know what you’re thinking. Where’s the cute cat picture?! Well my friend, we can’t always get what we want when we want it! Life is full of disappointments. Everyone’s favorite subject, right? Right? Ok, no. It’s not. It’s pretty cruddy actually. But we all go through it! As you may or may not know I went to the PNWA conference this last weekend and I learned a thing or two that I would like to share with you. Of course, I can’t fit everything I learned into this one blog post, so expect a few more posts from my experience at the conference in the future! My goal is for this post to be encouragement from one writer to the next! Encouragement Numero 1: Writers are not enemies! You heard me correctly…or read. We have got to be the luckiest people to have chosen a career where we are not competing/mortal enemies of everyone else in our profession. No two books are the same! Except if you plagiarize but that’s another post for another day. We writers gotta stick together! Help each other out and pass on our knowledge. Encouragement Numero 2: Don’t be mad at an Agent for rejecting you! We’ve all been there. “What?! How can you not love my novel! It’s the best thing since something that was a really great thing!” Just hear me out for a second. Your relationship with an agent will hopefully last a lifetime. You want them to LOVE love your book and writing style. They will be working with that manuscript for a long time. It’s their job to be super jazzed and champion your book to the publishers! If they aren’t passionate about your manuscript then that will show when they are presenting it to publishers. You don’t want someone to have power over your book and not have its best interest at heart, do you? You don’t want the agent to say to a publisher, “there’s this book…I think its meh. If you want to publish it then give me my money fool!” Maybe that’s a bit of a dramatization but you get the idea. Next time you get that rejection, thank that agent! It’s for the best interest of you, the agent, and your book. Encouragement Numero 3: Keep writing! Keep writing! Keep writing! This was something I was most surprised about. Most of the published authors who were speaking or presenting had the same thing to say, their first manuscript wasn’t what got them published! 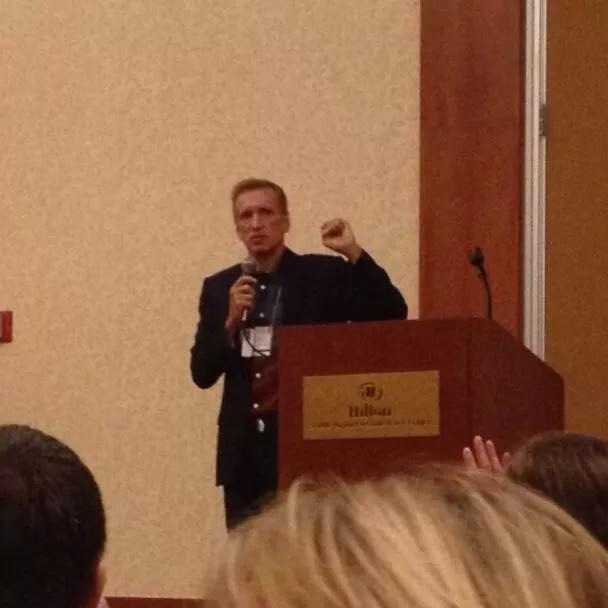 One of the keynote speakers New York Times Bestseller James Rollins was one of those authors. He wrote his first thriller and guess what one of his rejections said? “You are un-publishable.” Ouch. But guess who got the last word? Rollins…with his $15 million dollar book contract he just signed. After all those rejections he wrote another novel and got it published! Same with New York Times Bestseller Richelle Mead and many others I heard speak. But don’t think those first unpublished novels were for not because every word you write gives you experience, grows, and perfects your craft. If you really want to write as a career then one unpublished novel stuffed away in your closet is a drop in the bucket in the grand scheme of things. While agents are looking at my novel I pitched this weekend, I’m going to be working on my 5th novel! Forward progress! So don’t be discouraged! Even the best writers of our time get rejected. What distinguishes you from other writers that get knocked down, is whether or not you get back up, dust yourself off, and begin again. Then just maybe, someday, you will get that call that someone is in LOVE love with your manuscript. Then you will be on a panel at a writer’s conference and the room full of author hopefuls will be looking to you for your story on how you got an agent. And boy, will you have a story to encourage them to keep going. That feeling is worth it, isn’t it? Hope you had a great July 4th weekend! Mine consisted of being at the hospital because my best friend had a baby girl! Meet little Arianna Rose. It has been a while since I have gone to a writer’s conference. So I googled last night and found one not far from where I live! So I was ecstatic (No flight or board fees. Yay!). Then I was even happier to see all the great seminars that I found interesting. Finally, the cherry on top was the amazing list of agents and editors that will be attending. They have ‘pitching block’s’ which have about 20 agents in each block and you get 4 min to pitch your manuscript to them face to face. All the conferences I have gone to have this type of a thing and is one of the best aspects of conferences. To be honest, I have never pitched my idea. I’ve gone to lots of conferences but always have been too scared to face the agents, I was much more comfortable with e-mailing! I’m not going to let this opportunity elude me though! I bit the bullet and I signed up for a pitching block as well as a round table with two agents that will critique my query. It will be amazing, I’m absolutely sure! So that’s the good news. The bad news is…the conference starts in 7 days. So I have 7 days to do as much research on pitching as I can and put one together. I’m having a bit of a nervous breakdown! But I am coming to terms that whether good news comes from these pitches or not, it will be an invaluable experience. You have to step out of your comfort zone in order to succeed. If you want amazing things to happen, you gotta start doing amazing things!